This past weekend I ran my very first half marathon! I've been getting more and more into running lately, I know that it has been super helpful for me on my weight loss journey. I ran my first 5k back in February of this year and ever since then some of my other friends who run have been trying to get me to sign up for a half marathon. At first I was really scared...I was like hold up. I just did a 3 mile race and now you want me to sign up for a race with 10 more miles tacked on???? Hah. But i've just kept on running and slowly increasing my distance the more I practiced and eventually this summer I had a 10 mile run which gave me enough confidence to sign up for a half marathon. One of my friends who has ran marathons before and lives out in Pittsburg conviced me to sign up for the Philadelphia half marathon which she was planning on doing when she was in town for the Thanksgiving holiday. The idea of having a friend there with me to run the same race was re-assuring, along with the fact that the Philadelphia Marathon course is well known for being fairly flat which I DEFINETLY wanted for my very first race!!! 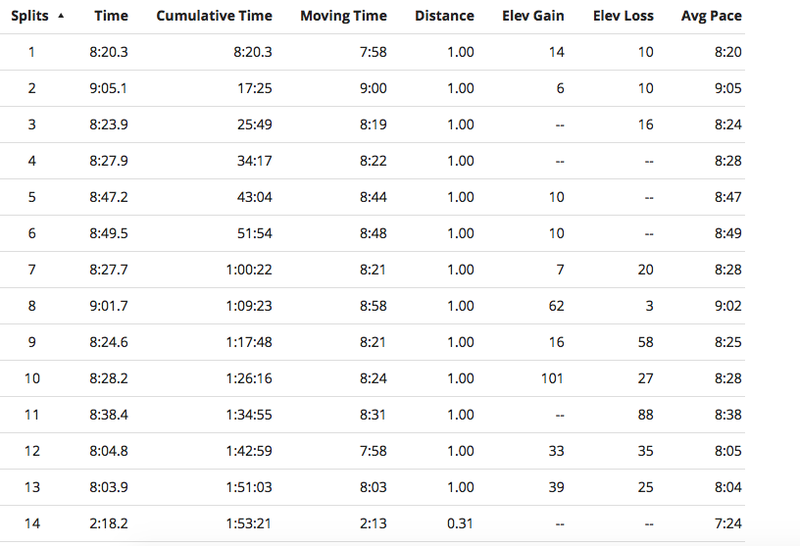 I didn't really follow any specific training plan for the race, I just made sure I ran at least two times a week. I would do a long run on the weekend and a 5-6 mile run during one week day. Sometimes I would run more but I workout everyday and do a lot of different cross training so as long as I got those two runs in I was happy. The end of this summer I made it to a 12 mile distance run which made me feel confident I was ready to do the distance, and I just worked on keeping my pace up after that. I didn't have any huge goals for myself since it was my first race, I just really wanted to finish in under two hours which is less than about a 9 min 10 second mile. 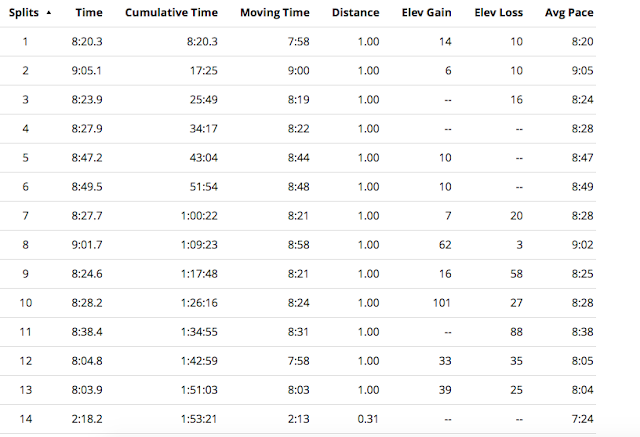 I hovered around a 9 minute mile pace for my long runs for awhile...but then something hit these past two months and I've seen myself getting faster, averaging around an 8:45 pace on my last few long runs. Well, I'm happy to report that I crushed my goal and finished in 1:53:17, about seven minutes to spare :D I averaged a 8:39/mile pace. The whole race experience was amazing. I've only ever done two small 5ks before so going to a BIG race was so much fun. There were 30,000 people running in the race!!! Some did the half and some did the full marathon. It was a little crazy getting down to the city for the race, I live about 45 minutes outside the city and the race started at 7AM so I woke up at 3:30AM that day to make sure I could eat breakfast, get ready and get down in the city to meet up with my friend and head over. Even though it was crazy early I was super awake and excited to just go and run. I really wasn't nervous, I knew I had prepared well enough and I just wanted to show up and get it done! The event was packed and crazy...huge lines for security and the race got delayed a bit, but eventually we got to our corral and lined up ready to start! I ran the first 1.5 miles with my friend and someone else she knew, but we both knew we had different paces so eventually I broke away and finished the rest on my own. I ran with music on low with headphones because that's how I always run, but it was just SUCH a fun race to go through. I'm used to looking at the same dang trees all the time on the trail that I run by my house so it was fun to actually run through the city and have things to look at! There were also tons of supporters out cheering us on and lots of funny sign. At the fourth mile a group of people had a whole table set up and were giving out beers, water, gaterode and holding tissues boxes out for us to grab as we ran past. I have no idea WHO would want to drink a beer at only 4 miles into a 13 mile or 26 mile race...especially because it was like 8AM haha. But still, it was just so neat seeing how many people came out to support the runners by cheering and giving things out as well! I was able to run for the entire race with no walking breaks. There were only two hills on the course which I just powered through. Honestly...I felt amazing during the race. My body worked exactly like it should have and my legs just ran! My splits alternated between around 8:20-9 minutes and my last two miles I picked it up a bit and was close to 8 minute miles. I was pushing myself but not too hard so I know if I run a race again I should (hopefully) be able to beat this time. I'm really really proud of myself for doing this race and I'm not ashamed to say it! It is so crazy for me to think how far I've come with running. From being the big girl in high school who huffed around the track in embarrasement every year in gym class for our required mile run test...to being the girl who decided at 246 pounds she was capable of more than she was doing currently and decided to get up and just RUN. I've come a long way. I started small and on the treadmill where it was easier. Then I moved to outside runs and just ran for as long as I was capable and alternated walking...slowly but surely with enough practice I've gotten to a point where I truely feel like a RUNNER and I love this feeling! Awesome. Been following your journey. I'm so proud of you! Whoot Whoot!!!! You are an inspiration! Keep up that healthy active lifestyle you have achieved for yourself. wow . marathon is great.